You’re tired of the fine lines, wrinkles and even dark eye circles. You’re getting even more tired of having to upkeep the regime of applying concealers. To put it simply, you’re just plain tired. A wrinkle is also known as a rhytide. It is a fold or a crease in the skin or on fabric. Skin wrinkles usually appear due to factors such as aging and habitual sleeping positions. How does a wrinkle form? Acne typically appears on the face, With each birthday we celebrate, natural folds will form in our skin, especially around the eyes, neck, hands and forehead. Development of wrinkles and fine lines happen from natural collagen reduction and loss of skin elastin within the skin, as well as sun exposure, smoking, poor diet and dehydration. Wrinkles begin to appear on body parts that are more exposed to the sun such as the hands, face, neck, corners of your eyes (crow’s feet), around the mouth (laughter lines), and along the forehead (frown lines)., shoulders, neck and back. Although the condition is not classified as dangerous, it can leave scars and marks on skin. Why does the skin wrinkle as you age? 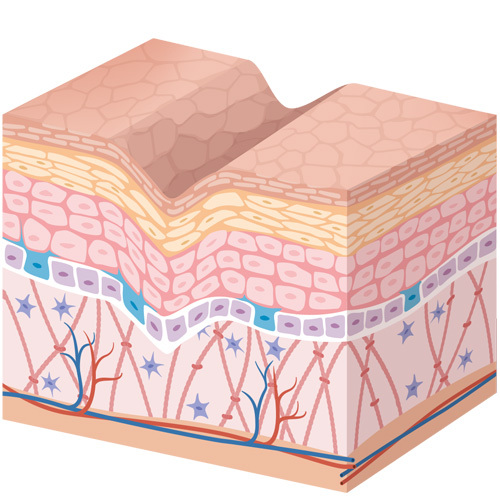 As we get older, the skin gets thinner, drier and less elastic. UV light breaks down the collagen and elastin fibres in the skin. These fibres form the skin's connective tissue. When did you start getting wrinkles? This process actually begins in the mid-20s, when the production of collagen begins to slow, and elastin starts to weaken. The signs may not be immediately apparent, but as decades pass, certain traits begin to manifest as a result of intrinsic aging, including fine lines and wrinkles. What causes frown lines or wrinkles on the forehead? The basic cause of forehead wrinkles is the same as other wrinkles: the breakdown of collagen and elastin due to Genetic, Hormonal or Environmental Aging. The forehead is particularly susceptible to wrinkles as a result of sun damage from daily exposure to UV rays. 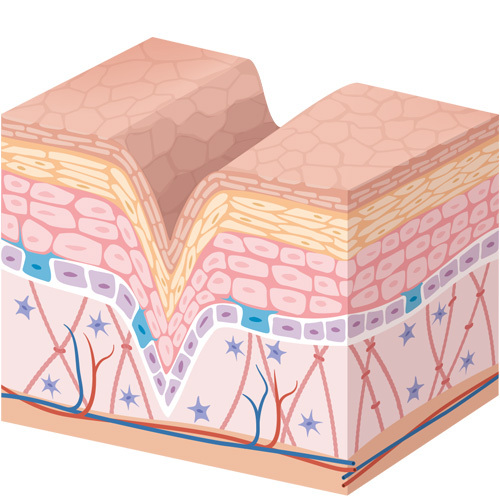 Most dermatologists understand fine lines as being one to two millimetres in depth. The folds are shallow, caused by sagging and dry skin. Wrinkles, on the other hand, are deeper than 2mm. They are predominantly caused by muscle contractions during facial expressions, like frowning and smiling. Repeated facial muscle movements create folds over the years. There are different types of wrinkles to understand too. What is a dynamic and static wrinkle? A dynamic wrinkle is a wrinkle that occurs only with facial movement such as a frown or a squint. Fine lines occur in the earliest signs of aging. Collagen breakdown and repeated muscle movements cause wrinkles. To put one’s best face forward is often easier said than done but it’s something that we have to do on a daily basis to help us achieve our goals. A more revived, revolumised and rejuvenated appearance such as treatments like Microdermabrasion Skin Renewal, Spectra Laser Peel, Anti wrinkle, Medical Grade Skin Peel, and 4D Fluid Facelift can certainly do wonders to your lives. Let’s put it this way: Not only clothes require ironing, but those fine lines and wrinkles on your face also need to straighten out and get rid off as well.